nero profumo: Dior Leather Oud: you stink so good! 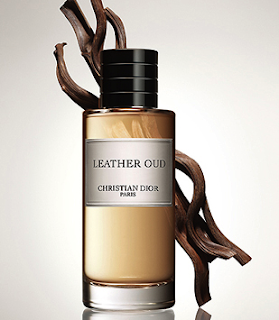 Dior Leather Oud: you stink so good! Leather and Oud together! Two of the most potentially challenging notes in perfumery paired together with the addition of an HUGE amount of animalistic notes (mainly civet), beeswax, other woods and birch. Leather Oud is definitely impressive with its bold and intense aroma. As a friend explained me, the oud here is mainly oudwood which is extremely different from the oil because it lacks the usual burnt-sugar and medicinal vibe. It smells strongly woody, dark, incredibly deep and smoky. Absurd amounts of animalic leather and civet with the addiction of birch, provide extra power and a skanky feel that is surely not intended for anyone who's looking for an easy-wear. Honey/beeswax play as a substantial refinement expecially when smelling the fragrance form a distance. While Leather Oud can surely be considered as a modern composition, at the same time it clearly shows many chrisms of classic french perfumery (its boldness, the strong animalic presence, and a certain "dirty" vibe that we very rarely find in todays masculines). Incredible projection and lasting power. Insanely powerful. I've to be honest: I didn't expect such a challenging fragrance from Dior. Leather Oud is stunningly beautiful and a true candidate to become the most solid alternative to the laundered age. Note: Thanks god this has nothing to share with the obnoxious concoction of chemicals that is Montale's Aoud Leather. I didnt expect Dior to create such a perfume when many perfumers are not leaning towards the "conservative" end of the spectrum. And secondly, its refreshing to smell oud wood as opposed to the trend of oud oil.